Laghman (Pashto/Persian: ?????) 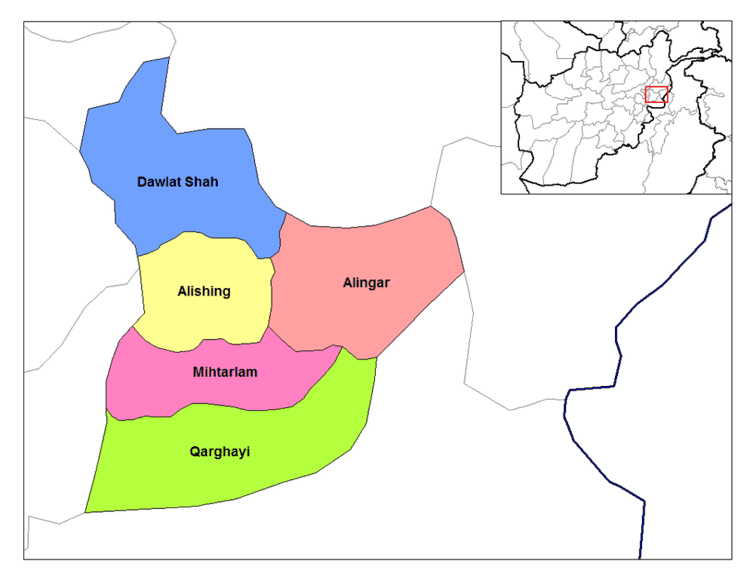 is one of the 34 provinces of Afghanistan, located in the eastern part of the country. It has a population of about 631,600, which is multi-ethnic and mostly a rural society. The city of Mihtarlam serves as the capital of the province. In some historical texts the name is written as "Lamghan" or as "Lamghanat". Located currently at the Kabul Museum are Aramaic inscriptions that were found in Laghman which indicated an ancient trade route from India to Palmyra. Aramaic was the bureaucratic script language of the Achaemenids whose influence had extended toward Laghman. During the invasions of Alexander the Great, the area was known as Lampaka. Inscriptions in Aramaic dating from the Mauryan Dynasty were found in Laghman which discussed the conversion of Ashoka to Buddhism. "For several centuries the native dynasty had ceased to exist, great families fought for preeminence, and the state had recently become a dependency of Kapis. The country produced upland rice and sugar-cane, and it had much wood but little fruit; the climate was mild with little frost and no snow. [...] There were above ten Buddhist monasteries and a few Brethren the most of whom were Mahayanists. The non-Buddhists had a score or two of temples and they were very numerous." "The Amir marched out towards Lamghan, which is a city celebrated for its great strength and abounding in wealth. He conquered it and set fire to the places in its vicinity which were inhabited by infidels, and demolishing the idol-temples, he established Islam in them, He marched and captured other cities and killed the polluted wretches, destroying the idolatrous and gratifying the Musulmans. After wounding and killing beyond all measure, his hands and those of his friends became cold in counting the value of the plundered property. On the completion of his conquest he returned and promulgated accounts of the victories obtained for Islam, and every one, great and small, concurred in rejoicing over this result and thanking God." Sabuktigin then won one of his greatest battles in Laghman against the Hindu Shahis whose ruler, Jayapala, had amassed an army for the battle that numbered 100,000. The area later fell to the Ghurids followed by the Khilis and Timurids. During the early years of the 16th century, the Mughal ruler Babur spent much time in Laghman, and in Baburnama (memoirs of Babur) he expatiated on the beauty of forested hillsides and the fertility of the valley bottoms of the region. Laghman was recognized as a dependent district of Kabulistan in the Mughal era, and according to Baburnama, "Greater Lamghanat" included the Muslim-settled part of the Kafiristan, including the easterly one of Kunar River. 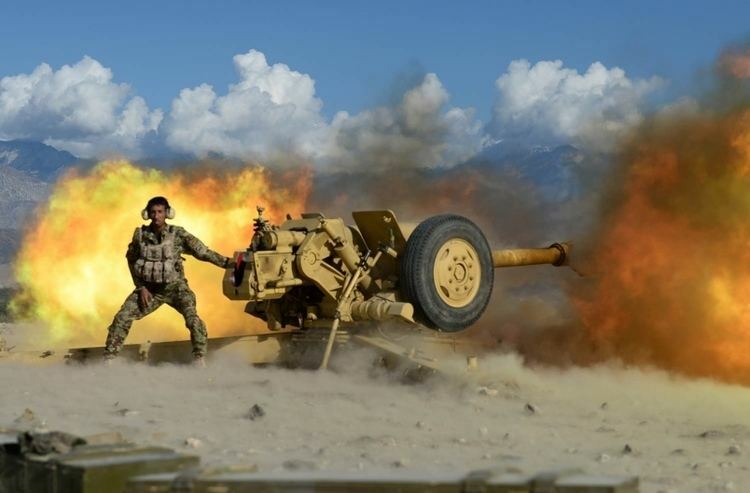 Laghman was the base for expeditions against the non-believers and was frequently mentioned in accounts of jihads led by Mughal emperor Akbars younger brother, Mohammad Hakim, who was the governor of Kabul. In 1747, Ahmad Shah Durrani defeated the Mughals and made the territory part of the Durrani Empire. In the late nineteenth century, Amir Abdur Rahman Khan forced the remaining kafirs (Nuristani people) to accept Islam. The Alingar and Alinshang rivers pass through Laghman, as the province is known for its lushness. Laghman has sizable amounts of irrigated land as one can find scores of fruits and vegetables from Laghman in Kabul. Other main crops in Laghman include rice, wheat and cotton as many people living in the area are involved in agricultural trade and business.